Christian Wallumrød has for many years been regarded as one of the most prominent and original creators of music in Norway. He is instantly identifiable both as a composer and as a pianist, while at the same time any attempt to categorise his music is doomed to fail. 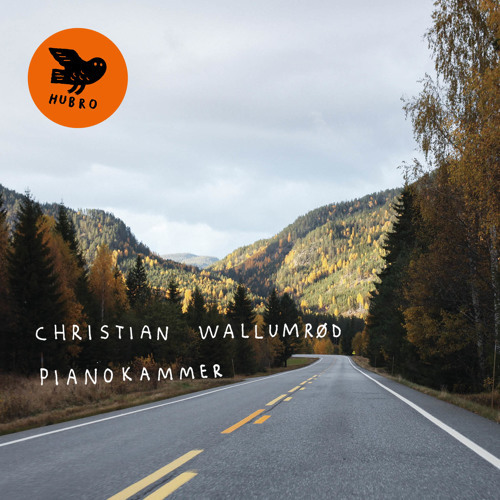 It is not surprising that on his first solo album, “Pianokammer”, Wallumrød has come up with his own special twists and turns. Here he presents an inspired solo album that is as challenging as it is enjoyable. The album, produced by Wallumrød himself, was recorded in a number of venues and on a variety of grand pianos. He experiments with different recording techniques, overdubs, natural resonance and editing. In terms of the music, the album alternates successfully between inquisitive, challenging excursions and catchy, carefree, melodic pieces. The music fluctuates between very intimate and far out. “Pianokammer” was constructed in the studio to a greater degree than his earlier albums, but without losing the kind of chamber music dynamism we are accustomed to hearing from him. Christian Wallumrød comes from a jazz and church music background, and in his four records with his ever changing ensemble on ECM he has erased the borders between jazz, hymns, gospel, folk music, baroque music and contemporary music, while carving out his own niche in the hearts and minds of listeners and critics. At the same time he has been involved in equally remarkable collaborative projects in the group Dans les Arbres as well as with artists such as Susanne Sundfør, Nils Petter Molvær, Ricardo Villalobos & Max Loderbauer, Karl Seglem, Jan Bang, Garth Knox, DJ Strangefruit, Oslo Sinfonietta and Kim Myhr. Wallumrød won a Spellemannspris (Norwegian Grammy) for his previous album, “Outstairs” (ECM, 2013), and was nominated for the Nordic Council Music Prize for the album “Fabula Suite Lugano” (ECM, 2010).